Sarah Prudence Ordway—known by her nickname, Sally—was born in 1910. 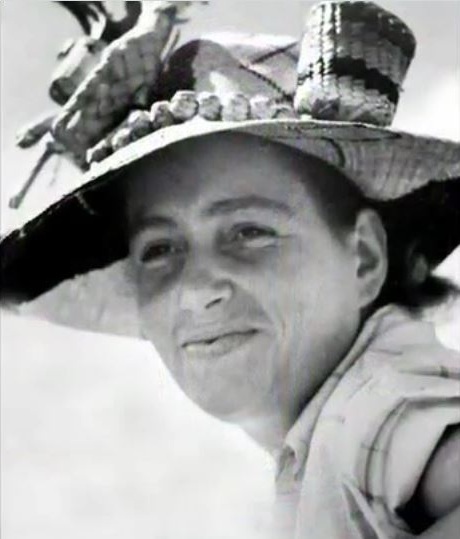 She was the granddaughter of Lucius Pond Ordway, who constructed and opened the Saint Paul Hotel the same year Sally was born and was a principal investor and company president of the Minnesota Mining and Manufacturing Company (3M). Sally and her husband, Thomas Edward Irvine—who grew up in what is now the Governor's’ mansion on Summit Avenue—were deeply embedded in St. Paul society and Sally knew that her social network was able to open doors closed to many others. She used her influence and wealth to fund the most expensive privately-funded arts facility ever built in the state of Minnesota, the Ordway Center for the Performing Arts. In 1980, Sally challenged her family, city officials, and civic leader to help her create a performing arts venue in which her dream of offering “everything from opera to the Russian circus” could be realized. She only asked two things of the leaders of St. Paul regarding the facility, that it be located on Rice Park and that it would be a place where a wide range of performances could take place so that everyone could experience and enjoy the performing arts. Leading by example, Sally made the first donation to a fund that eventually built the Ordway Music Theatre. By the time the $46 million center opened to the public on January 1, 1985, Sally had contributed $7.5 million—and her family had matched that amount. Sadly, Sally died just two years later at the age of 76. Since 1992, the annual Sally Awards have “honored individuals and institutions that strengthen and enrich our entire state with their commitment to the arts and arts education. The awardees’ talents and determination help enrich Minnesota’s unique culture and quality of life.” The Sally Awards honor extraordinary achievements in five categories: arts access, arts learning, commitment, initiative, and social impact. Today the Ordway is recognized as among the nation’s leading not-for-profit performing arts centers serving 400,000 people annually with nearly 500 performances. 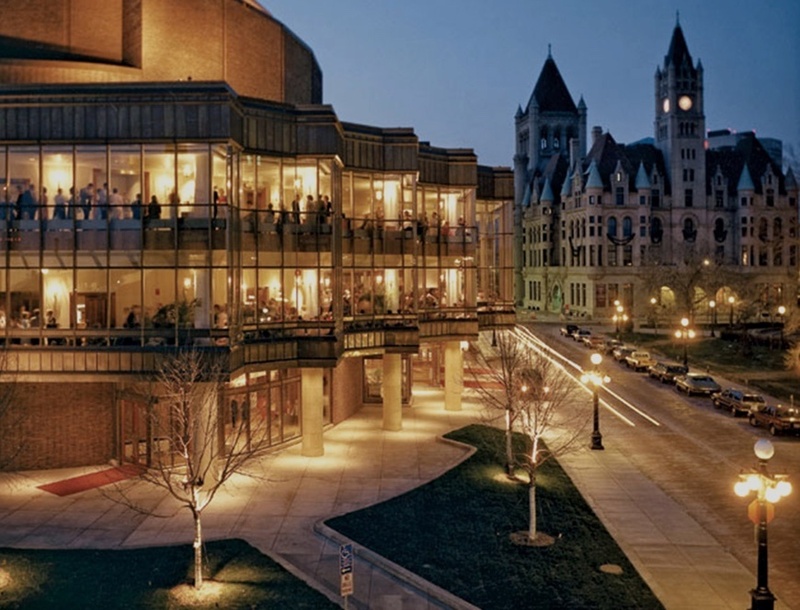 In 2000, the name was changed to Ordway Center for the Performing Arts as a better representation of the array of performing arts that take place there. Just as Sally had hoped, the Ordway hosts a wide variety of performances that encompass the finest in musical theater, children’s theater, world music and dance, orchestra, opera, and recitals.